... to paraphrase Walt Whitman; though, Whitman's original "O Captain! My Captain!" would have also been appropriate. The news that is always some of the worst to report was put out on Gunota and Anime News Network yesterday afternoon. Suzuoki Hirotaka, a voice actor from Japan who has featured memorable characters such as Mobile Suit Gundam's 『機動戦士ガンダム』 Bright Noah, Ranma 1/2's 『らんま1/2』 Kuno Tatewaki, Dragonball's 『ドラゴンボール』Tenshinhan and Rurouni Kenshin's 『るろうに剣心-明治剣客浪漫譚-』 Saito Hajime, among dozens of others. Suzuoki-san passed away Sunday, August 6th from a bout with lung cancer at the age of 56. It's often that people say someone has passed away before their time, and in Suzuoki-san's case, it was the truth. Aside from simply passing away too early, most of his work remains in the halls of classic anime; which means few folks now getting into anime whom may not venture backwards to the classics will not be exposed to the representation of manliness that his voice imbued. As Bright Noah, Suzuoki-san played a reluctant-at-first captain in a series that would change the mecha genre from one of Super Robots who always won the day to a subgenre of the Real Robot - where actions have consequences and sends a strong anti-war message. Bright played an intricate role in representing that change as his character changed. He went from an obedient officer to yet another caring soldier who had a job to do. He also has the memorable role for motivating his rag-tag (and mostly civilian ) crew of the White Base to survive the One Year War together. Suzuoki-san reprised the role not only in the theatrical adaptations of the 1979 TV series, but also in its sequels Mobile Suit Z(eta) Gundam 『機動戦士Zガンダム』, Mobile Suit Gundam ZZ (Double Zeta Gundam)『機動戦士ガンダムZZ』, Mobile Suit Gundam: Char's Counterattack『機動戦士ガンダム逆襲のシャー』 as well as every game and spin-off in which the character was featured. Most recently, Suzuoki played Captain Bright in 2005-2006's Mobile Suit Z Gundam: A New Translation『機動戦士Zガンダム A NEW TRANSLATION』. However, Suzuoki-san wasn't just a man who voiced spaceship Captains in sci-fi wars; he was also a prominent voice behind characters of Japan's classical martial arts. 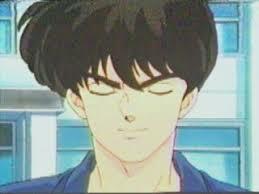 During the late 1980s and early 1990s when he wasn't voicing Son Gokuu's sometimes rival, sometimes ally Tenshinhan, he was a key player in Takahashi Rumiko's madcap Ranma 1/2. As the upperclassman Kuno Tatewaki, Suzuoki-san brought about the rich and spoiled example of manliness we all wished to aspire to. That was a joke, in case you may not have noticed. Kuno's classic dilemma, to choose between the tomboy Tendo Akane or the pig tailed girl (whom he never seemed to find out was his rival, Saotome Ranma), was nearly all the fodder for Kuno's character the plotline needed. Along with very well adapted dialogue from Takahashi's manga, Suzuoki-san's voice came through perfectly for the pompous, dim-witted rich kid that made our days at Furinkan High a little easier to endure. Continuing on the warrior's path, Suzuoki-san later voiced, again masterfully, one of the most memorable characters of the late 1990s - Rurouni Kenshin's former Captain of the Third Shinsengumi Unit, Saito Hajime. While RurouKen is out of the scope of classic anime, being one of my favorite series of all time, I couldn't help but mention one of the most famous of Mibu's wolves. Though, an interesting piece of trivia: Suzuoki was not only in a great mecha series like the Gundam franchise but he also played characters in Superdimension Fortress Macross 『超時空要塞マクロス』, Superdimension Calvary Southern Cross 『超時空騎団サザンクロス』 and Genesis Climber Mospeada 『機甲創世記モスピーダ』- the three series that supported the American story of Robotech, as well as Superdimension Century Orguss 『超時空世紀オーガス』, a semi-related series from the same creative team as Macross. More of Suzuoki-sans roles can be examined here [Anime News Network]. Last, and most certainly not least, on behalf of Akihabara Renditions, I would like to extend my condolences for the family and fans of Suzuoki-san and best wishes for all affected by his death in the future. He is a presence in Japanese animation whose silenced voice may never be replaced.